Quite vital to this recipe is a kitchen aid mixer or bread mixer able to beat on a high speed. Begin by adding your flour, water and yeast to your mixer with the paddle attachment, I like to start this dough with cold water for a nice slow fermentation. Begin mixing with the paddle, now this dough will look very wet but turn your mixer onto high and do not walk away as your going to beat it with the paddle till the gluten stretches enough. For it to start to climp up the paddle, this may take 5 – 7 minutes. Once it has done this remove your paddle and fit your dough hook to your mixer, add your salt and your olive oil. Mix on a medium speed for a further 5-10 minutes till the bowl is getting nicely cleaned by the sticky yet elastic dough. Place into a lightly greased bowl and wrap in clingfilm, let it rest somewhere at a comfortable room temperature to Triple in size (this may take upto 3 hours). 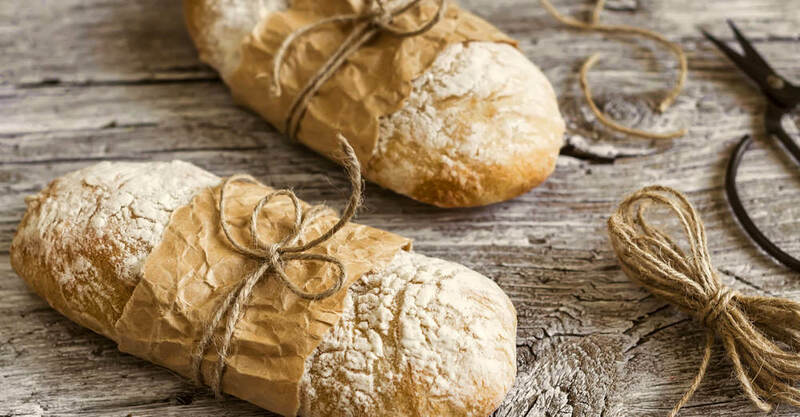 Remove from bowl onto a very floured surface and cut dough into 4 pieces, stretch them into your classic ciabatta, slipper shape and allow to prove for another 45minutes on a greased tray ready for the oven. Preheat your oven to 230 degrees nice and hot. Place bread in oven for roughly 15 minutes perhaps longer but main thing is to check for a dark golden crust and good hollow sound and a very light feel before removing from the oven. Please feel free to post any comments or any questions below. Parfait or Perfect.... It's up to You!